The Northern Rail fiasco is continuing to cause misery for tens of thousands of commuters – and there’s no end in sight. Arriva Rail North won the bid and secured the Northern franchise in April 2016. Their bid came with a guarantee for the North of £500 million in new investment for 98 new trains, as well as scrapping the hopeless Pacer trains. We were assured by the operator and the Government that the remaining trains, of which there were over 200, would be fully refurbished and fit for the twenty first century. We were told that this would be completed by 2020, providing an extra 2,000 services a week. It turns out we were sold a lie. The complete collapse in train services for Northern Rail has been steep. At the start of the year around 90% of Northern trains, which ran services around the North of England, ran to time, by the end of May this had dropped to 57%. When you look at the figures, it’s not surprising. Northern’s own performance targets revealed that close to 1,700 individual rail cancellations were reported across north and south Manchester in less than three months since February. Due to Northern’s incompetence in introducing the new timetables, combined with engineering upgrades that overran, the whole process of renewal took much longer than anticipated. As a result the sign off needed for new timetables from Network Rail was delayed with some timetable requests changed entirely. This has left train drivers with little or no time to practise new routes which has led to a driver shortage and even more delays. This entire process is yet another example of the lack of responsibility in Britain’s rail industry, led by a Transport Secretary who is willing to blame anyone rather than taking responsibility himself – the buck stops with him. Greater Manchester needs a better deal on transport, now, more than ever. 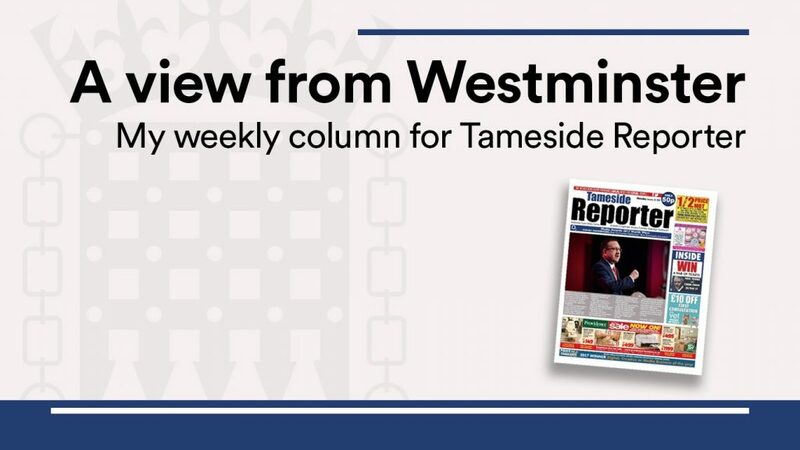 As a local MP I know how important a fair deal for the North West is as I’ve campaigned for improved transport links between Denton in the north of my constituency, and Reddish in the south, since becoming the MP in 2005. Creating better links between Tameside and Stockport, and Greater Manchester more widely, makes sense for both local business and the local economy. Added to this, we can reduce congestion and improving air quality for all of Greater Manchester. That’s why I’m dedicated to campaigning for improved services for both areas, and specifically improving journey times from Denton into central Manchester. The benefit of this approach is clear to see as we already have the infrastructure in place, the train lines, the stations and the route through from Stockport to Manchester Victoria – a destination otherwise not easily accessible directly from south-east Manchester. We need much more than this though; for example, it’s absolutely essential to get more trains stopping at Fairfield Station heading into Piccadilly, especially given the expanding housing developments taking place across that area. This fiasco is now beyond a parody. My constituents, people across Greater Manchester and all over the North deserve a proper, modern and fully-functioning rail system. People in London and the south wouldn’t put up with this, and neither should those of us in the north. The only cancellation now acceptable is Northern from their franchise.